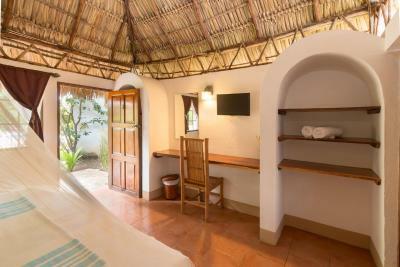 Lock in a great price for Hotel Mariposa – rated 9.2 by recent guests! The room was gorgeous and the whole layout of the hotel made it feel like paradise! 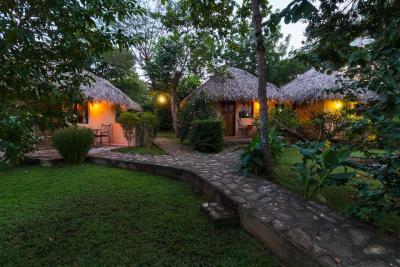 We love the Hotel Mariposa because it feels like a secluded resort. The staff are delightful and friendly, the food is incredible. 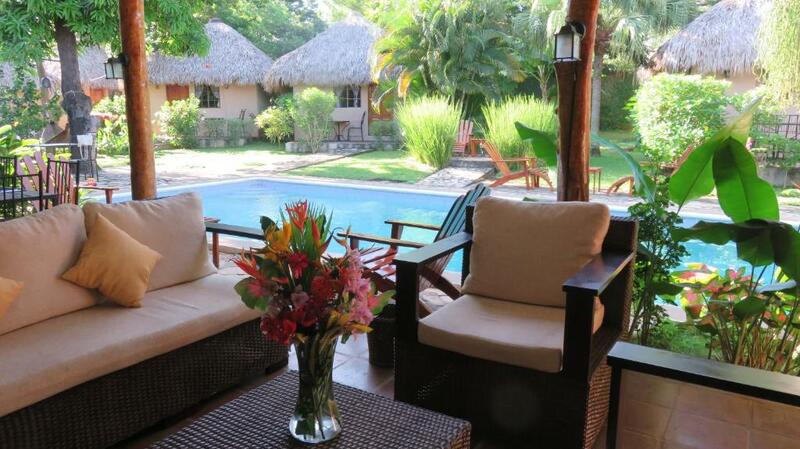 We spent a lot of time relaxing in our bungalow or by the pool. Exactly what our vacation needed! 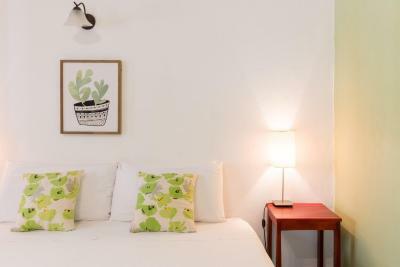 Comfortable beds, nice linens. Very clean and quiet. Excellent, helpful staff. On site restaurant and beverages. The ambiance is great, very cozy, beautiful garden. The room is so unique! The staff are nice particularly Tha. Perfect for this kind of work. Everything, Leon is GREAT, but best to stay a little outside the city, it is a little loud. 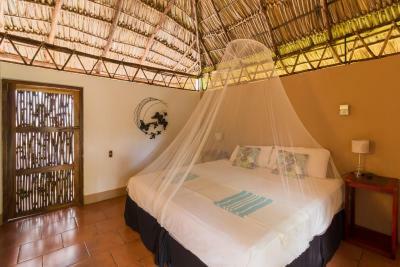 Do your volcano boarding, take a ride on a bicycle tour - and stay here! 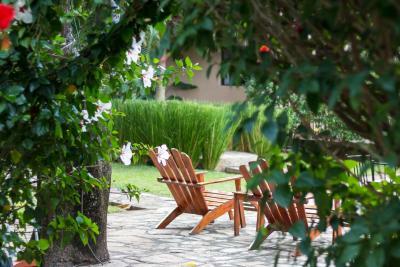 This place is the perfect getaway from the city, yet close enough that it is easy to get to. 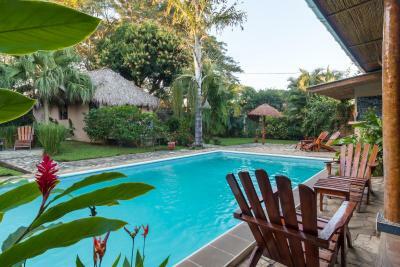 Also, it is a short cab ride or walking distance to the bus stop that will get you to the beaches. I lucked out and had the place all to myself. Everything was divine. Lionel took very good care of me- from making a delicious cocktail, setting up dinner and having wonderful conversation. I had stayed in the city the previous two nights but wished I would have stayed here the whole time. The pool, ac room (I didn't stay in the bungalows but saw them and they are beautiful), design of the hotel were all fantastic. I took a taxi cab to watch the sunset and even had a fluent English speaking taxi driver that was also a great conversationalist. All in all, it was an overwhelmingly wonderful stay. I'd go back and wish I could have stayed longer. 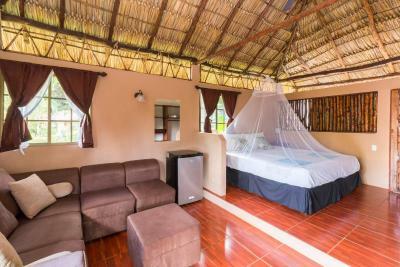 Hotel Mariposa This rating is a reflection of how the property compares to the industry standard when it comes to price, facilities and services available. It's based on a self-evaluation by the property. Use this rating to help choose your stay! 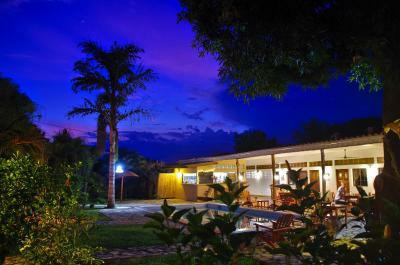 One of our top picks in León.Offering an outdoor pool, Hotel Mariposa is located in the suburbs of León. It has free WiFi access, along with a shared lounge area and a library. 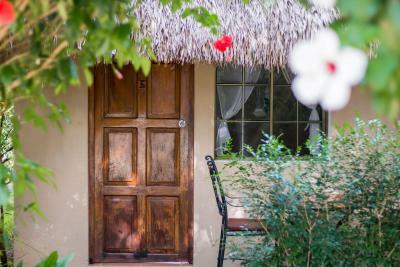 The accommodations offers standards rooms with air conditioning or bungalows with thatched roofs. 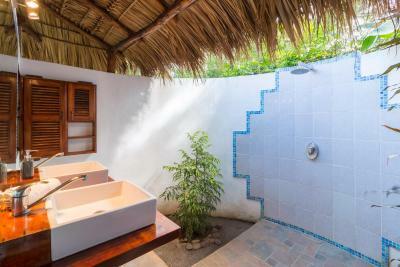 They have wardrobes, a fan, and a private open-air bathroom. 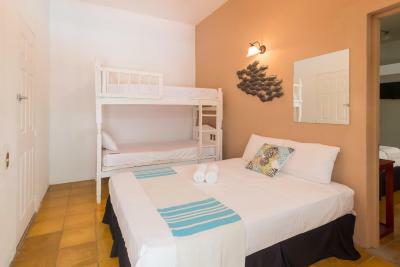 Guests staying at Hotel Mariposa are 0.6 mi from the Mercadito Sutiava, a local marketplace. 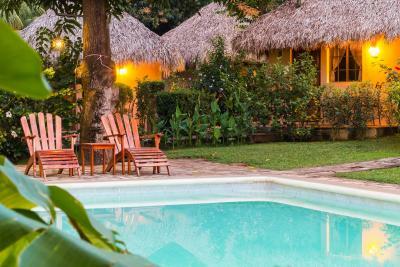 The hotel has a large outdoor swimming pool and tropical garden. 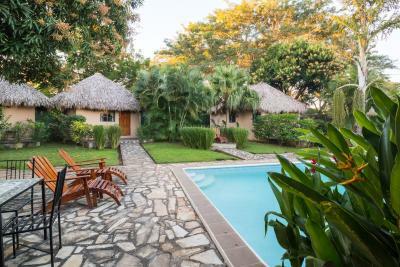 Hotel Mariposa has a 24-hour front desk service, a garden and a terrace. 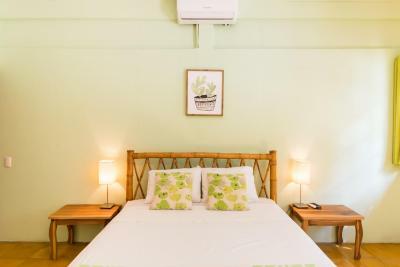 Other facilities offered include express check-in and check-out services, smoke-free facilities and laundry services for a fee. The property offers free parking. 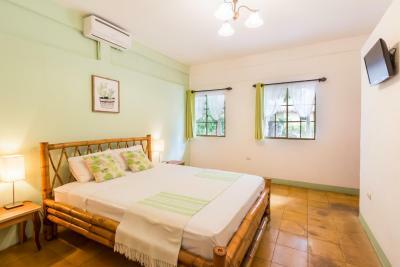 León town center is 5 minutes' drive from Hotel Mariposa, while Augusto C. Sandino International Airport, located in Managua, can be reached in 1 hour and 35 minutes by car. 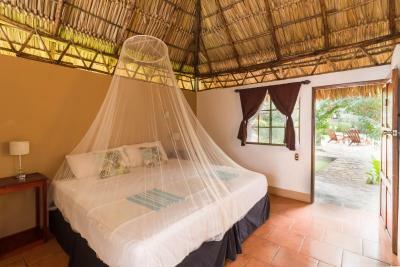 When would you like to stay at Hotel Mariposa? 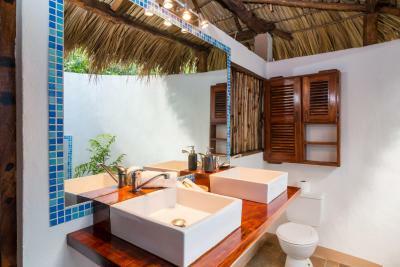 This room has a patio, fan and a private bathroom with shower. 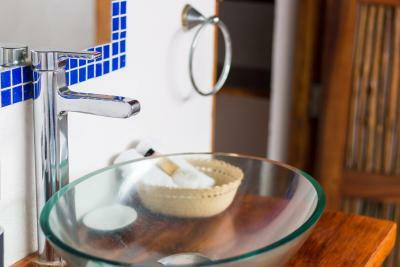 Free toiletries are included. 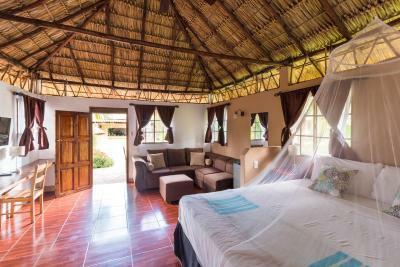 This bungalow has a cable TV, rustic décor and thatched roofs. 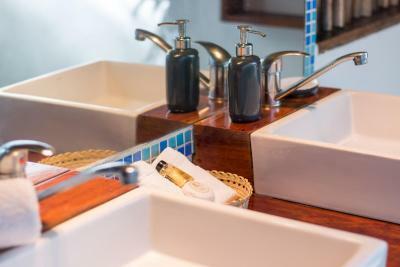 House Rules Hotel Mariposa takes special requests – add in the next step! Hotel Mariposa accepts these cards and reserves the right to temporarily hold an amount prior to arrival. Not a minus, but be aware walking takes 45 minutes to the centre of Leon. They gladly arrange a cab for you! 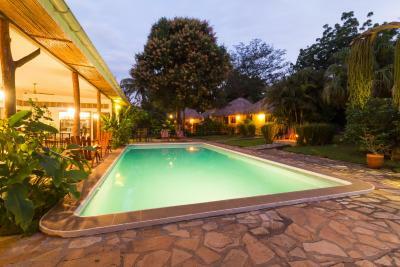 Very nice swimming pool and communal area with beautiful garden. Very good included breakfast. Helpfull staff which helped us reserve a rental car with Dollar rent-a-car. Some of the beef and chicken dishes we ate were a bit dry but the fish/pasta dishes were so delicious. I stayed in April with my partner and some friends - we absolutely loved it! 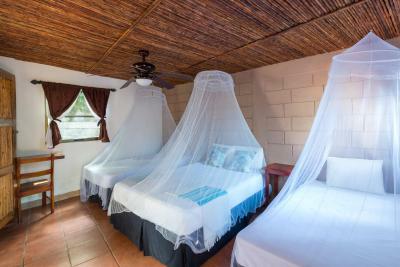 The bungalows were so cute and clean, the staff was more than accommodating, and activities planned were a lot of fun. The place is about a 5-10 min taxi ride to central Leon and the front desk staff was awesome at coordinating our transportation every time we needed it. I'd definitely recommend this place! Thank you, Hotel Mariposa!! Inaccurate representation from photos that location is remote. 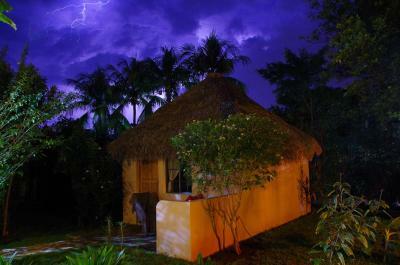 It is not a bungalow in the jungle/rain-forest apart from other bungalows and facilities. 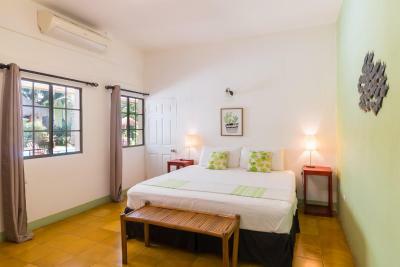 Bungalows are very close to one another with one relatively small room (no inside seating). It is located just off main street in a residential/industrial area. (However, once inside, it is lovely and you forget the surrounding area.) Undisclosed surcharge for tours arranged by staff. 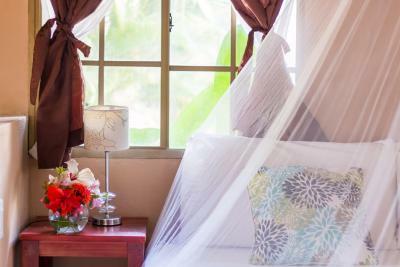 Bungalow experience with outdoor shower and toilet and a mosquito net over the large comfortable bed. 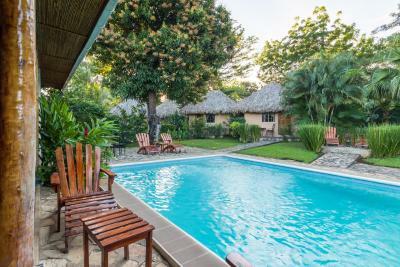 Refreshing small pool and enclosed setting with fruit trees, lots of birds, and beautiful tropical landscaping. Delicious food and drink. Excellent service and information about activities. Very convenient and easy access to town if traveling with car. Parking available. Quiet and comfortable "room". No fridge (although staff kindly let us keep a few items in their fridge). Not able to use the kitchen even when the hotel restaurant isn’t open on a Sunday night. No restaurants nearby. This place would be great if we could have been able to cook! 2 small bottles of water provided in the room - but that is all... only place we have stayed in Nicaragua which hasn’t provided free filtered water. No shops nearby so need to pay escalated hotel prices. Great swimming pool. 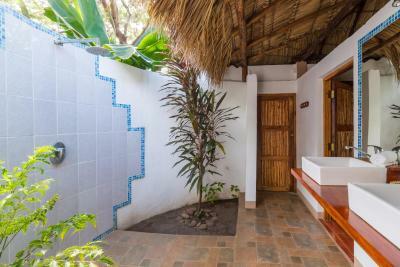 Good sized hut, we liked the open air (but totally private) bathroom. 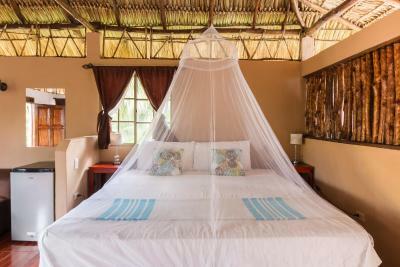 Quiet at night and comfortable beds with mosquito nets. Despite no air con the ceiling fan kept the room cool enough at night. Easy and cheap to catch the bus into town, or a 40 min walk. A little far from the action. Got several mosquito bites despite the netting. 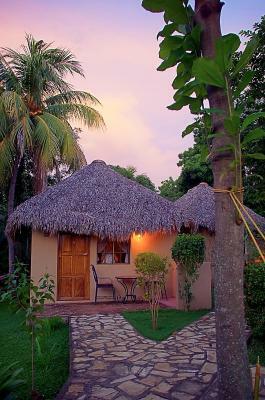 The little cabanas and the property are safe and pretty. I only ate one meal at the restaurant, but it was delicious. Being far from the middle of leon meant it was quiet and peaceful. That pool area and garden are superb. An Oasis away from the busy town. An oasis! Great staff. Rooms and pool were lovely - quiet and away from the busy part of town. Bus into the centre of town comes often and is quick and easy to take. 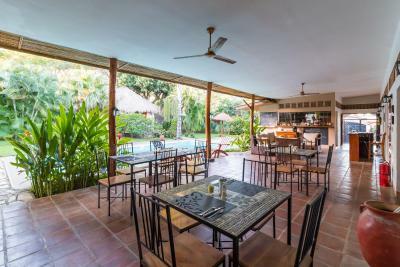 The property is about 3 km away from the center of town and there are no restaurants or shopping nearby. There was no hot water in the shower which was quite disappointing. The room was very clean and looked exactly like the photos - no surprises. The property is absolutely beautiful. Meals were available as well as wine, beer and soft drinks. The staff were great! It was only about $2 to take a taxi into town. The property is gated and felt very safe. Charged for every cup of coffee 1.00 meaning a refill is another 1.00. Price of Tona beer over one month in similar hotels and restaurants was always 1.00 to 1.16 USD whereas here it is 1.80 USD; over 70 percent more. Considering you are 3 km from the nearest restaurant, you have no options. 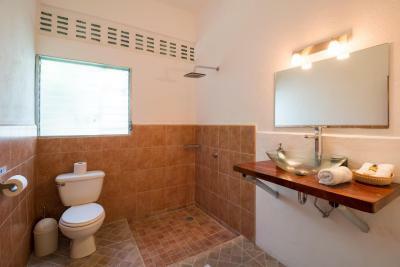 Spacious, open air bungalow with outside shower, beautifully appointed. Pool.